Setting New Year’s resolutions is a time honored tradition that’s notorious for not lasting past the first few days of January. Made with the best intentions, these resolutions most often fail because they require too big of a lifestyle change to maintain long term. Change takes a lot of energy and effort, and most people throw in the towel once they grow weary without some form of major motivation. But making healthier lifestyle changes can take place all year round, not just on New Year’s Day. In fact, spreading out your resolutions into small steps can help you achieve long lasting positive habits. At least one or two resolutions every year include a commitment to getting healthier. Taking care of your health is always a good idea, and for dog lovers, it’s even more important. 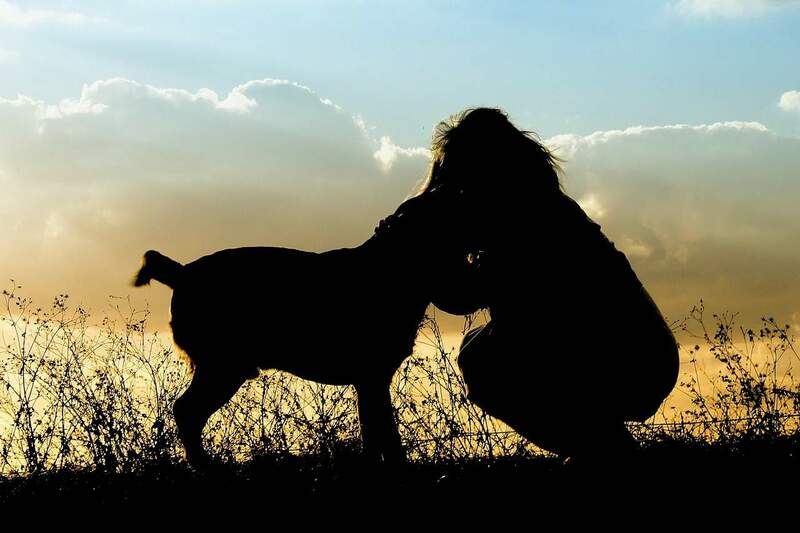 Staying healthy allows you to take the best care of your beloved furry best friend. Instituting lifestyle changes that will keep you and your dogs healthier are some of the best New Year’s resolutions you can make. But those resolutions won’t do you or your pup any good if you can’t stick to them. Here are a few tips and ideas to help you and your pooch live a healthier and happier life in 2017, even if you’ve failed at your first attempts to make a commitment to change. 1. Eliminate processed foods for you and your dog. Your eventual goal is to only eat foods that could come directly from a farm (organic meats, dairy, eggs, fruits and veggies) but if you try to go cold turkey on all your favorite junk foods, you’ll be ditching your new diet sooner rather than later. Instead, set a pace you’re comfortable with, like changing one regular food choice a week, or one a month if you’re really resistant to diet changes. Every healthy choice you make matters so celebrate each small success instead of expecting a total diet overhaul all at once. Diet changes aren’t always easy for your dog, either. Try introducing a freeze dried meat treat and monitor his reaction. You can slowly replace his less-than-healthy snacks with healthier ones. Your dog’s food is an integral part of keeping him healthy. So many dog foods have been recalled due to contamination and many more are laden with preservatives, fillers, and sub-par ingredients your dog would never eat on his own. A natural diet of human-grade freeze dried meats, veggies, and a few fruits will lead to a much healthier life. Talk to your vet about which food is right for your dog, and what size portions he should be getting daily. Dogs can have allergies to grains, weight issues from too much people food or the improper dog food, or nutritional deficiencies that require your attention. He relies on you to provide the healthiest food to nourish his body. Take the time to research dog food brands and treats and feed him healthy food to avoid organ damage, cancers, and obesity. 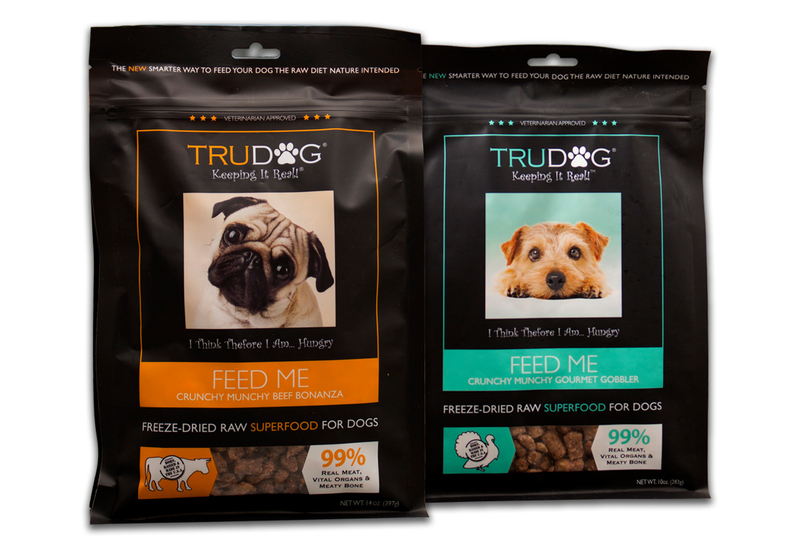 Consider switching to a grain-free, freeze dried premium dog food like FEED ME. It’s so easy to eat when we are bored or upset, and the same is true for your dog. There’s just something that is naturally calming about eating a meal or snack, especially when we indulge in our favorite treats. But this behavior can easily lead to a bad habit of overeating that packs on the pounds. 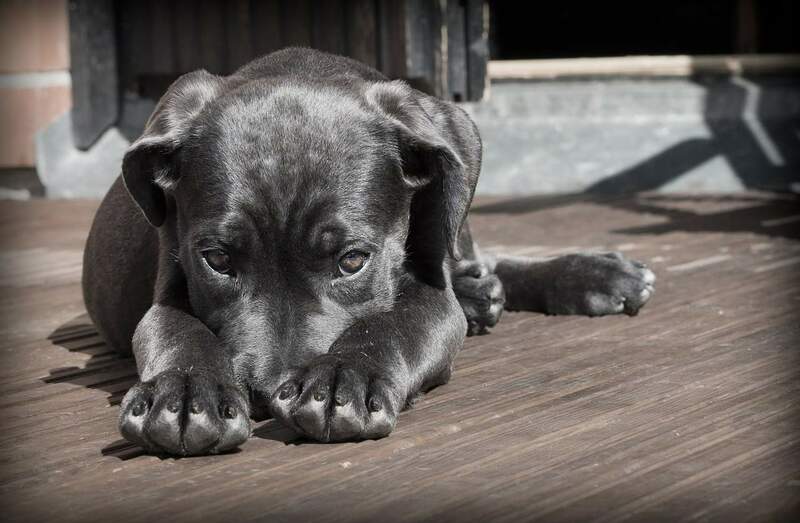 If you’ve gotten in the habit of giving in to those puppy dog eyes and sharing a bite or two of everything you eat, chances are good your dog is not only eating foods that aren’t healthy for him, but he’s consuming too many calories as well. It’s generally best not to start the habit of sharing people food with your dog. He quickly learns to beg and pulls on your heartstrings when you eat chocolate or onion-laden chili that you should’t share. A well trained dog knows his pack leader (you) will feed him and he waits patiently for your permission to eat. He’s not anxious about where or when his next meal will come from because he trusts you to provide for him. This approach keeps your dog from stealing foods from the counter, or snatching food from your hand or plate. This is especially important if you have small children, as little fingers can be nipped when your dog tries to steal a bite of a tightly grasped cookie carried by a toddler. Your dog should know when mealtime is every day and that he can expect a full belly after his meal, but not an all-you-can-eat buffet. This training will help limit overeating. Exercise is often one of the hardest parts of staying healthy. We’re already exhausted from our family and work responsibilities and finding the energy to exercise just doesn’t seem feasible. Add to that our highly sedentary lifestyles in front of computers and televisions and you’ve got a recipe for an unhealthy lifestyle. This can be an especially difficult problem for a dog who tends to be more of a couch potato than a frisbee enthusiast. Getting outside to exercise when it’s cold can also be a problem for dogs who are sensitive to the cold. Except in rare conditions, you can’t drink too much water. Your body actually requires water every day to filter toxins and waste products from your blood. Drinking coffee, tea, and soda has become the norm for us, and many people never drink a glass of water unless they have no other options. These habits can lead to kidney and liver damage, gallstones, kidney stones, bladder infections, confusion, and chronic tiredness. Your body needs water to function properly and adding coffee grounds or tea leaves also adds caffeine and other substances that change the way your body processes those liquids. Only water is easily digested and instantly available to your body. Try drinking a glass of water first thing in the morning and work your way up to the recommended eight to ten glasses a day. You might find that what you thought was hunger or cravings for a salty snack is actually your body’s signal that you need more water. Many people lose their ability to differentiate thirst from hunger when they substitute sugary drinks or multiple cups of coffee or tea for water intake. Your dog probably doesn’t have a problem with drinking enough water. In fact, you probably wish he wouldn’t drink so close to bedtime and let you sleep in an extra hour. Maybe then he wouldn’t wake you up at the crack of dawn to go outside. However, I’m betting your dog has a favorite drinking fountain in your home that leaves you cringing- the toilet. There are a couple of easy solutions to preventing your dog from drinking from the commode. The first is to develop a habit of keeping the bathroom door shut at all times. He’ll still try to follow you in when you use the bathroom (dog parents aren’t allowed to pee alone), but you can supervise him while you’re in there. The second habit to develop is to teach everyone in your house to keep both the seat and the lid down when finished using the toilet. You can even purchase an automatic toilet seat that closes for you if you forget or if your family can’t make it a habit. No one wants toilet water kisses. Help your dog break his toilet fountain habit by being vigilant about restricting his access. While it never seems like a priority before the age of 40, our bodies are aging. Self care is much harder at 40 and beyond. Those with good genetics who used to put very little effort into self care before, suddenly find they have no choice but to slow down and take care of their bodies. Getting the proper amount of sleep, good nutrition, supplements, and exercise are suddenly a top priority to reduce pain, inflammation, sickness, and lethargy. Taking a good quality multivitamin becomes critical but if our digestive systems are slowed down and gummed with processed foods, that multivitamin often has little effect. Switching to a liquid vitamin will help your body take full advantage of your supplement. Otherwise, you’re flushing expensive vitamins down the toilet, literally. Caring for your dog’s aging body often means learning to perform doggie massage and giving him a joint care supplement. He should also be getting an all-natural kibble such as freeze dried meats and treats free from grains and fillers. What you feed your dog matters even more in his senior years. Consider adding steps for easier access onto your bed (if he’s allowed), or the couch to avoid injury to his hips from jumping and climbing. Take special care when getting in and out of the car and offer assistance even if he previously had few difficulties before. 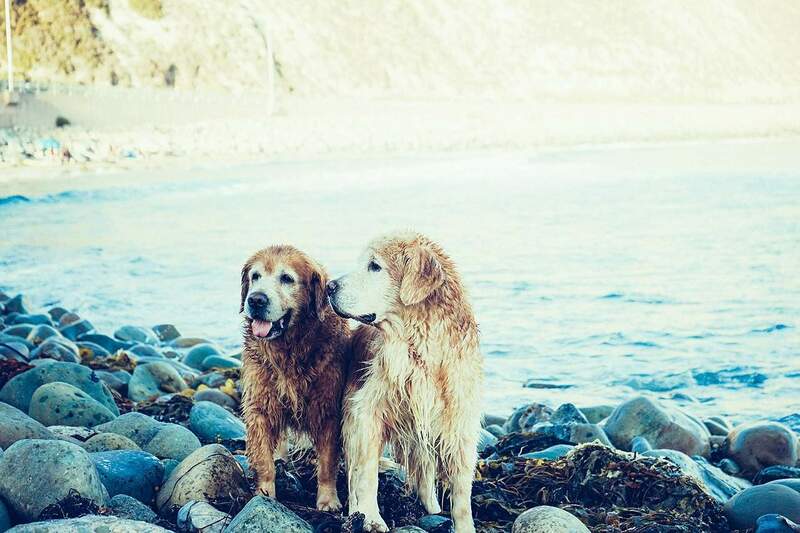 It can be difficult to watch our beloved best friends age, but you can help your dog age gracefully with dignity and less pain through observation, understanding, and love. Keeping you brain active is just as important, if not more so, than keeping your body fit. Your brain is the most dynamic part of your body. It is constantly changing and forging new neural pathways. Everything you come in contact with, your daily habits, your thoughts, and your experiences determine how your brain functions from day to day. The brain you have today is not the same as it was six months ago. When your brain isn’t actively being stimulated, neural connections aren’t replaced at a high rate. When neurons die, they simply aren’t replaced at a rate sufficient to keep up and your brain becomes less active. Over time, this can lead to significant problems and mental and physical sluggishness. You can keep your brain and your dog’s brain healthy and active through regular stimulation. Read often. Engage in stimulating and thought provoking conversations. Travel. Seek out new experiences and never stop learning. For your dog, keeping his brain healthy might require a game of hide and seek with his favorite toy. Training should be a lifelong process because you really can teach an old dog new tricks, especially if his brain is healthy and active. Give your dog a puzzle toy that requires him to figure out how to get the treat inside or visit a new pet store or dog park to stimulate his senses. Your dog likes surprises so don’t be afraid to try a new treat, play a new game, or learn some new tricks. Change keeps him from getting bored. Spiritual health does not equate to religion, but in today’s modern society (especially in America) we tend to ignore our spiritual selves. If you are religious, devote time regularly to your beliefs. You can also tend to your spirit through listening to music, meditating, spend quiet time in nature, creating something, embracing your artistic side, or by helping others. While the concept of dogs having souls is an often debated issue, your dog needs quiet time to reflect on life too. Turn off the radio and TV, shut down the computer and take a nap with your favorite pooch. Go for walks in the woods together. Play tug-of-war or other games that embrace your dog’s natural instincts. He works hard to fit into our human world so it’s important to allow him some time to just be a dog. If you’ve failed at your initial New Year’s Resolutions, or even if you never set any this year, there’s still time to make positive changes in your life. You can start right now. And if you fail tomorrow, you can always start again. Every day spent living better is a success. The key to lasting success is to reward yourself for reaching small goals and staying persistent when you fail to meet your own expectations. Be sure you’re setting realistic, reachable goals with specific actionable tasks to achieve that goal within a specific timeframe. And don’t forget to be kind to yourself if you fail. Take a few minutes to reflect on why you failed, and then get back at it. Don’t allow yourself to wallow in your failure and don’t let failure discourage you from trying again. Your attitude often determines your happiness, so decide to be proactive, positive, encouraging, and happy right now. I heard a saying that where you'll be in five years is determined by the people you spend time with and the books you read. When you set a specific goal, find out as much as you can about how to reach your goal. Talk to people who have succeed in reaching the same goals. Read books on the subject and do some research. Most people need a little outside help to make and keep resolutions. Telling a friend or family member about you goals and asking them to help keep you accountable can help you stay on track. Check in with your accountability partner regularly and ask them to check on your progress from time to time as well. It can be easy to get so caught up in reaching your new goals that you forget that this moment, this day, is your life. These moments all add up to a life well lived or a life squandered. Take some time off when you’re feeling stressed and take breaks from all your hard work to make some memories and have fun. 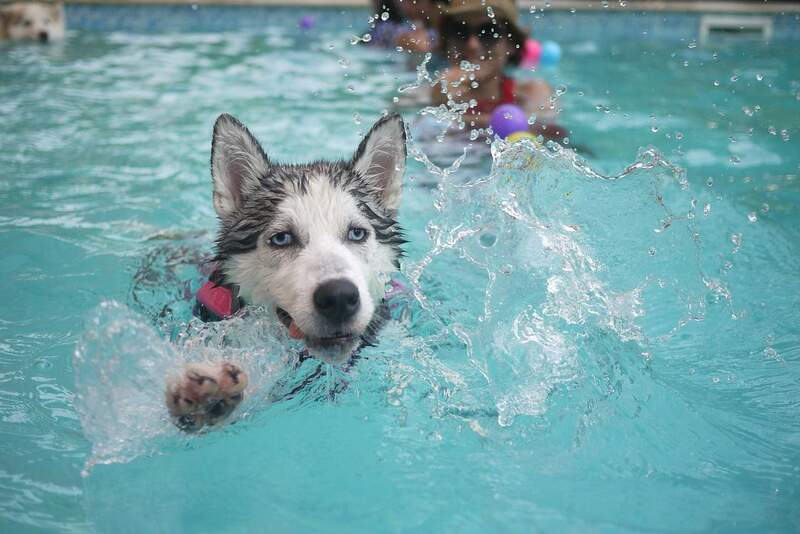 Your dog has no problem squeezing in playtime at the end of the day, and you shouldn’t either. It’s okay to take a day off. Even if you’ve put yourself on a strict diet and exercise routine, self care days to sleep in, take care of a cold, or indulge in an ice cream cone are to be expected. Take an hour off, a day off, or even a week off when you need to and don’t beat yourself up over needing a hiatus. Change is hard work. Sometimes life interferes with your plans. When the unexpected happens, embrace it and don’t stress over the interruption. Change is constant and things won't always work out exactly as you planned. Just commit to try again tomorrow and choose to be happy in your current circumstance. Your dog picks up on your emotional cues so be sure not to dwell on negative emotions for too long, for his sake and for yours. Sometimes it can be hard to see how much progress you’ve made when it happens gradually over time. Writing down your thoughts and actions and chronicling your journey through pictures, video, and notes can help you appreciate how far you’ve come and encourage you to keep working toward lasting change. 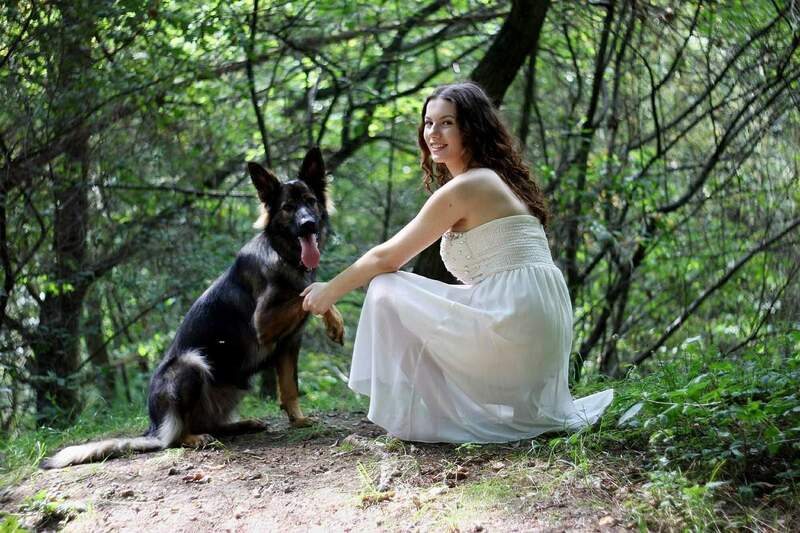 Be sure to include your pup in your journey and share this part of your life with him as you both get healthier. Many of us don’t hesitate to beat ourselves up if you eat a cookie or miss a workout, but celebrating our successes is an integral part of lasting change. Life requires celebration! Reward yourself for the small successes and the large to keep your motivation up and make your life worthwhile every step of the way. Throw a party even if you and your pup are the only guests. Your dog will love the chance to celebrate, he doesn’t even need an explanation. Resolutions to live healthier and happier don’t have to be made on January 1st. They can be made on February 1st, March 1st, or any day of the year. You can even make the same commitments that you’ve previously failed in keeping. Just alter your approach, make actionable steps, start small, and celebrate every success. Include your pup and keep in mind that this is your life, and your dog is depending on you for his own health and happiness. Simply add Fortify Me on top of your dog’s meal. Think of it almost as a condiment. This amazing food topper has been designed to bring as much nutrition to your dog as possible. Amongst its ingredients are beef, carrots, pumpkin and of course, salmon skins from wild-caught Alaskan salmon. 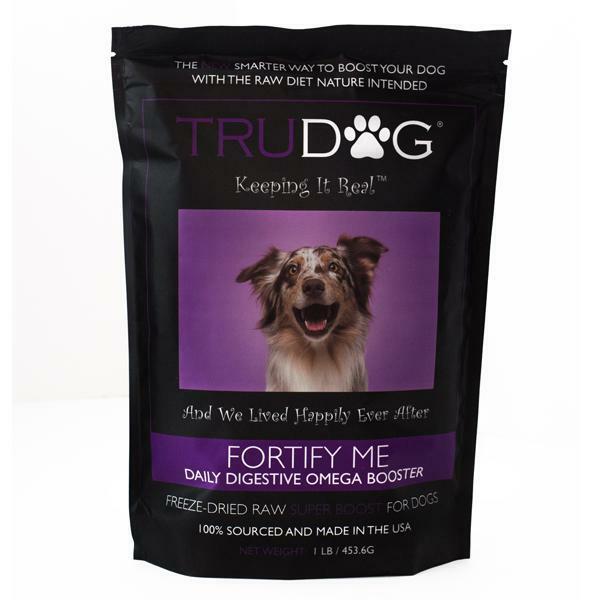 This is a super food for your dog and with over 450 positive reviews. 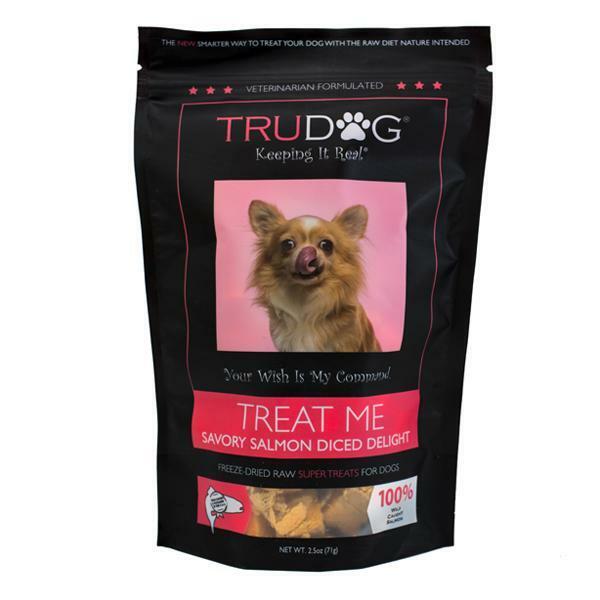 Savory Salmon Diced Delight Salmon Real Meat Super Treat is a delicious freeze-dried treat that your dog is going to love. It is jam-packed with healthy omega-3 fatty acids. It can help reduce skin infections and improve the quality of your dog’s coat. The ingredients are simple: wild Alaskan salmon. That’s as simple as a meal can get. 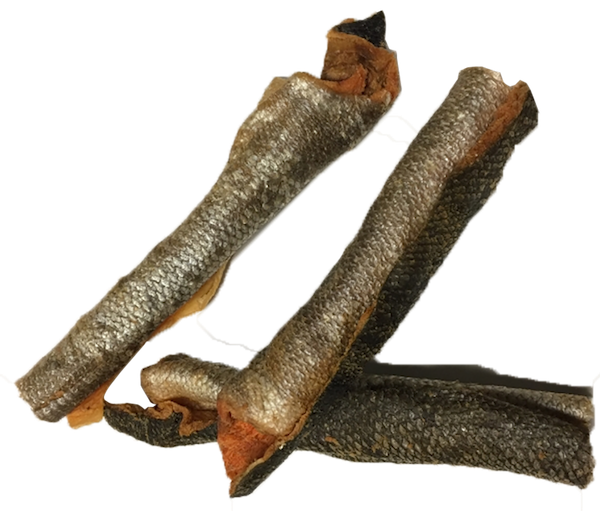 Chew Me Salmon Skin Super Chew is another wonderful freeze dried treat. Just like with the Savory Salmon Diced Delight Salmon Real Meat Super Treat, this is pure wild-caught salmon from Alaska. It makes for a wonderful treat for your dog to eat after they’ve been good boy or girl.